Elin Hilderbrand’s books are the perfect combination of complex drama and noteworthy characters. 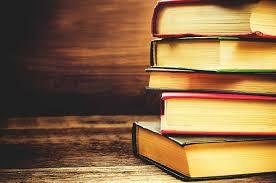 Her latest book, Winter in Paradise, is the first book in a planned three-part series. At the beginning of the novel, we meet Irene Steel on a cold and snowy New Year’s in Iowa City. Patiently waiting for her husband, Russ, to return from his business trip, she decides to meet a friend for an early dinner. Irene’s world is turned upside down later that evening when she receives a cryptic phone call telling her that her husband has been killed in the Caribbean island of St. John in a helicopter crash. Irene is blindsided with the news of her husband’s unexpected death. Not only did she think her husband was only a few states away for work, she had no idea why he would be on a small island in the Caribbean. Irene, along with her two grown sons Baker and Cash, gather from across the country and make their way to the island to make the necessary arrangements. Upon their arrival, Irene and her sons begin to learn the magnitude of Russ’ deception and delve unwillingly into his secret life. The pieces of the puzzle all start to come together when the trio befriends various residents of the island and learn more about the husband and father that they thought they knew. Along with the ripple effect of his death, the three must come to terms with secrets in their past too. Just when the reader comes to end of the book, another exposed secret throws everything into a state of flux, setting the stage for the next book in the trilogy. 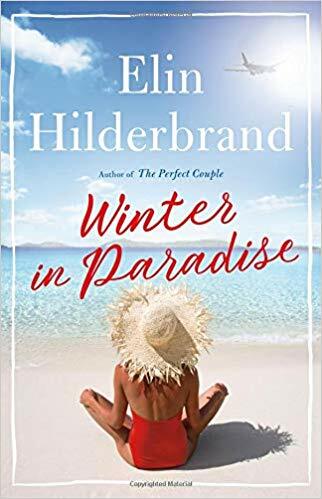 With the cliffhanger at the end of Winter in Paradise, I am anxiously awaiting book two in the series, which will hopefully be released this year! Faith, Volume 1: Hollywood and Vine is a refreshing step back from the traditional female superhero tale. 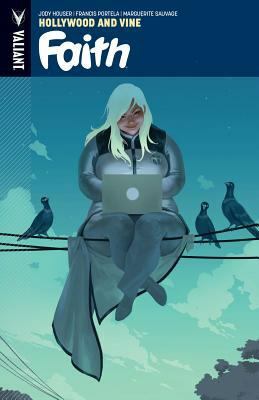 This first volume introduces Faith Herbert, a woman orphaned at a young age who has always wanted to do something great. Faith is a psionically gifted psiot, which basically means that Faith can fly and has telekinetic powers. She’s a body positive plus-size superhero known as the Zephyr. Pretty cool. Now Faith is striking out on her own, having broke up with her superhero boyfriend and her crime-fighting superhero group all at almost the same time. She has decided to take control of her life and live how she’s always wanted to be: in control of her own destiny. This means that Faith is working a day job as a reporter with a secret identity and a group of colleagues who have no idea that she is Faith Herbert OR the Zephyr. Patrolling at night, Faith stumbles upon a conspiracy revolving around the disappearances of multiple psiots around the city. Her private and public lives come to a screeching collision at her work place, where Faith is forced to mesh her two worlds together and hope things work out. The missing psiots occupy Faith’s mind, leaving her to patrol more and ask questions. She uncovers a mysterious plot to use the psiots by aliens. Of course it’s aliens. This conspiracy is deeply-rooted in entertainment, politics, and regular societies. Faith uses her superhero savvy to save the world, but finds she may need help. Bad Behavior has blocked 1829 access attempts in the last 7 days.